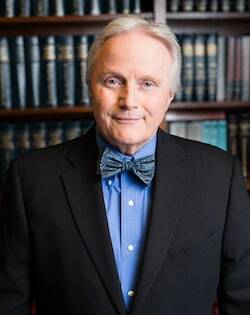 Mr. Davis is a third generation attorney with over 35 years’ experience in handling over a thousand felony and misdemeanor criminal cases in state and federal courts in south Mississippi. During this time span Mr. Davis has handled over 100 homicide cases, including numerous capital murder cases, which have gone all the way to verdict and he has actually obtained not guilty verdicts to capital murder, and has had numerous capital murder cases where the defendants did not receive the death penalty but received life sentence. He has had numerous death penalty cases reversed on appeal. Mr. Davis actually carried a federal death penalty case to the United States Fifth Circuit where he was successful in having the federal death penalty statutory procedurally found to be unconstitutional. Mr. Davis has handled over 100 homicide cases during the last 35 years of practice, and has had successful jury trials in numerous murder and manslaughter cases. He has had success in appealing numerous unfortunate convictions to the Mississippi Supreme Court, which were reversed and sent back for new trial or resentencing. Also, for the last 35 years, Mr. Davis has been qualified as a lead counsel in death penalty cases in state and federal courts, and again, having tried numerous death penalty cases, he has handled appeals and oral arguments in the Mississippi Supreme Court, the Court of Appeals for the United States Fifth Circuit, and he is qualified and approved to appear in the United States Supreme Court. Mr. Davis is one of the most qualified, experienced and competent criminal defense attorneys on the Mississippi Gulf Coast. This was an armed robbery case in Harrison County, Mississippi. The jury reached a not guilty verdict. This was a DUI intoxicating liquor case in the Harrison County County Court. The jury reached a verdict of not guilty. State v. David Carver, et al. This case dealt with various felony assault charges. The jury reached a not guilty verdict. This was a DUI intoxicating liquor case in Harrison County Court Court. The jury reached a not guilty verdict. This was a case dealing with the transfer of a controlled substance and conspiracy to transfer a controlled substance. The jury reached a not guilty verdict. This was a burglary of a dwelling case. The jury returned a not guilty verdict. This was a burglary of dwelling case. The jury returned a not guilty verdict..
State v. Johnny Cone, Jr. This was a murder case. The Judge ordered a dismissal under Weathersby v. State, 147 So. 481 (1933), known as Weathersby Rule that in a homicide case, if the Defendant’s story is not conflicted with the evidence, it must be taken as truthful. This case dealt with an Aggravated Assault charge. The jury returned a not guilty verdict. This was a possession crime. The jury returned a not guilty verdict. This case dealt with a conspiracy charge. The jury found him not guilty. Mr. Davis is currently representing the Roman Catholic Diocese of Biloxi, Mississippi, in the United States Supreme Court where the death penalty is being attacked. “The Second Circuit Court District of Mississippi (Harrison, Hancock and Stone Counties) accounts for the largest number of death sentences of any of the State’s 22 districts since 1976.” “This geographic concentration reflects a nationwide trend. Death sentences, while declining in number, have become increasingly concentrated in an ever-smaller number of counties.” “In a very real sense, a given defendant’s chance of having the death penalty sought, retracted, or imposed depends upon where that defendant is prosecuted and tried.” See Jordan v. Mississippi, 138 S.Ct. 2567, 2569 (2018). We contend the death penalty is being geographically arbitrarily applied in the three counties mentioned above. Mr. Davis was lead counsel for the Defendant who was convicted once of capital murder. That conviction was reversed on appeal for the District Attorney’s Office striking jurors for their religious beliefs. Thorson, 721 So.2d 590 (Miss. 1998). On retrial, Mr. Thorson was convicted again of capital murder and sentenced to death. We have appealed his case through the state appeal system and Mr. Davis has had numerous hearings, including at Atkins hearing to determine mental retardation. At this time it is still in the federal habeas corpus position in the United States District Court. Mr. Davis was lead counsel on this case. Due to pretrial publicity, we acquired a change of venue to Hinds County, Mississippi. The jury found Mr. Wagner guilty of capital murder, but we convinced the jury to return a unanimous life sentence. Mr. Davis was lead counsel on this case. The Defendant was found guilty of capital murder and we convinced the jury to give him a life sentence. On appeal, they found numerous errors in the trial that were deemed to be harmless and affirmed the conviction and life sentence. See 628 So.2d 1931 (Miss. 1993). Mr. Davis was lead counsel on this case. The jury found the Defendant guilty of capital murder but we convinced them to return a life sentence. Mr. Davis represented Mr. West, who, in his first trial, was convicted and given a death sentence. We appealed it; we got the death sentence vacated and at a new sentencing hearing, the jury returned a unanimous life sentence for Mr. West. Davis was lead counsel. Mr. Davis was lead counsel. He represented Mr. Avera in his first trial where he was convicted. He obtained a reversal and, at a second trial, he was convicted again and sentence to life. We were able to get a Governor’s pardon. Mr. Davis represented Mr. Barnes as lead counsel. He was found guilty of capital murder, but the jury returned a unanimous life sentence. Mr. Davis was lead counsel. The Defendant was tried for capital murder. The jury hung and the charges were dropped. Mr. Davis was lead counsel. Mr. Holland was found guilty of capital murder and was eventually executed. Mr. Davis was lead counsel. In the lower court, he was able to get the death penalty struck for jury consideration because of the unconstitutionality of the federal death penalty statutory scheme. The case was affirmed in the Fifth Circuit, then subsequently affirmed in the United States Supreme Court. Mr. Davis represented Mr. Taylor, who was charged with murder. He convinced the jury to only find him guilty of manslaughter. It was appealed to the State Supreme Court and the entire conviction was vacated because of Batson v. Kentucky, a jury selection issue. On retrial the District Attorney’s Office offered Mr. Taylor probation. This was a federal homicide case. Mr. Osuno was charged with murder of a correction officer. There was a hung jury. The Defendant later pled to manslaughter. The jury found Mr. Dedeaux guilty of murder. Mr. Davis handled the appeal and got a murder conviction set aside and the Supreme Court ordered the Defendant to be sentenced to manslaughter. Mr. Dedeaux got probation. Mr. Thornton was charged with murder. He looked like Charles Manson. The jury found him guilty of manslaughter. Mr. Graves was charged with murder. He was found guilty of manslaughter. Mr. Davis was lead counsel. He questioned a day-for-day sentence the judge gave Mr. Norwood. It was appealed to the Court of Appeals. They agreed with Mr. Davis and set aside the day-for-day portion of the sentence. It was subsequently reviewed and they changed their minds but did agree that the judge did not have the power to sentence the Defendant for day-to-day. Mr. Davis did not try this case but he handled the appeal and got Mr. Bigner’s conviction reversed because his trial counsel was ineffective under a Strickland v. Washington, 466 U.S. 668 1984 analysis. Citation: 925 So.2d 136 (Miss. 2006). Mr. Davis represented Mr. A.E.W. He was trying to obtain an expungement through one of our expungement statutes that stated the judge shall expunge the arrest and charge if the charges are dropped. A.E.W. went to trial. The jury was hung and the District Attorney’s Office subsequently dismissed the charges before the retrial, and Mr. Davis moved for expungement. The judge refused expungement even though the statute said shall. Mr. Davis appealed to the Mississippi Supreme Court of Appeals and they agreed and ordered that the judge grant the expungement. Mr. Davis was lead counsel. Mr. Teel was a correction officer at the Harrison County Jail who was convicted of one of the charges against him but found not guilty of numerous other charges.